← Have Wedding? Will Travel! 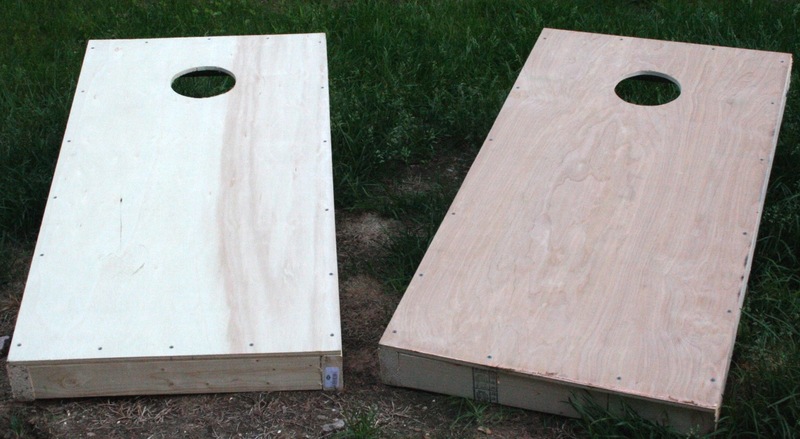 Bean Bag Game DIY Part ONE! We have completed it! Our Epic Bean Bag Game DIY! Get ready for a long one folks! This will only be part one of three! It’s worth it, I promise. I’m super proud of us on this one! Let’s start with the materials, and there are a bunch of them! Now to the building of the frame! Since they are exactly alike, we’ll only show the building of one board. 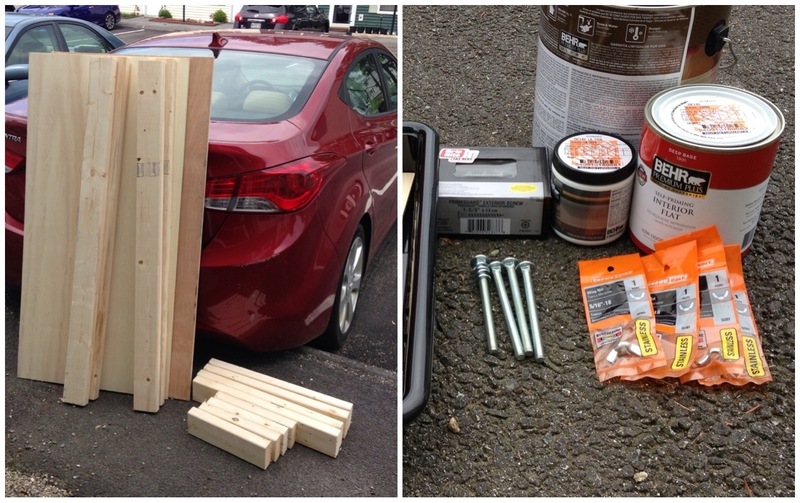 Start with two 48″ and two 21″ 2x4s and make a square with them. 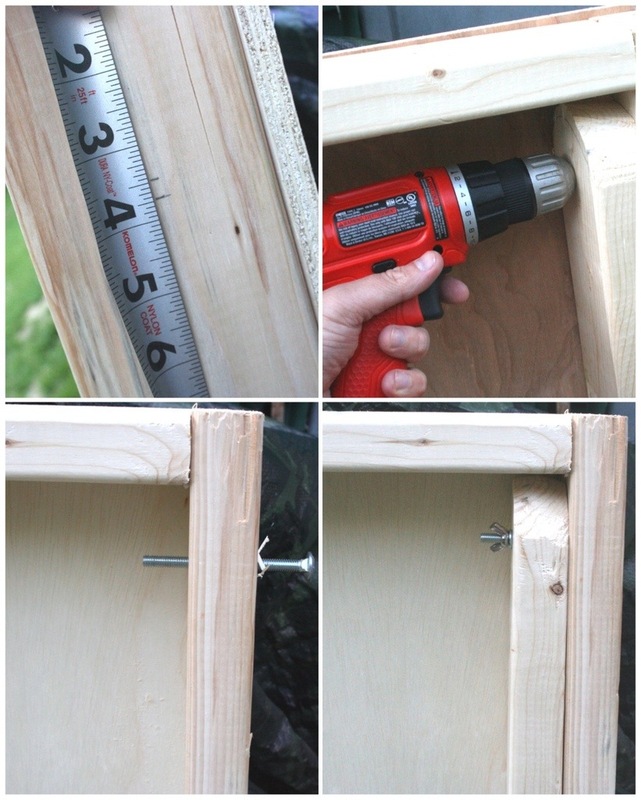 Using the 3″ screws, fasten the 2x4s together to form a box. 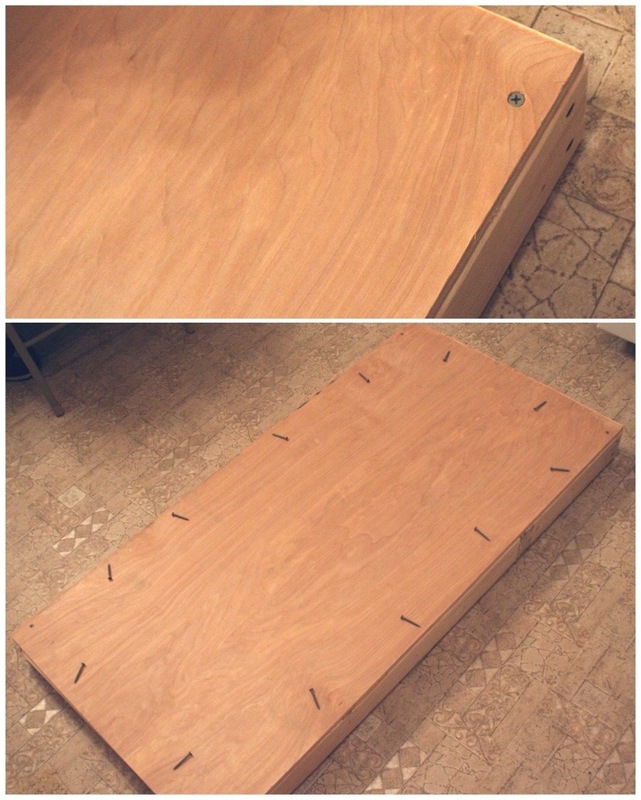 Now lay a piece of plywood on top of the 2x4s and screw it down with the 1-5/8″ screws. Now it’s time to draw the hole that the bean bags will slide through. 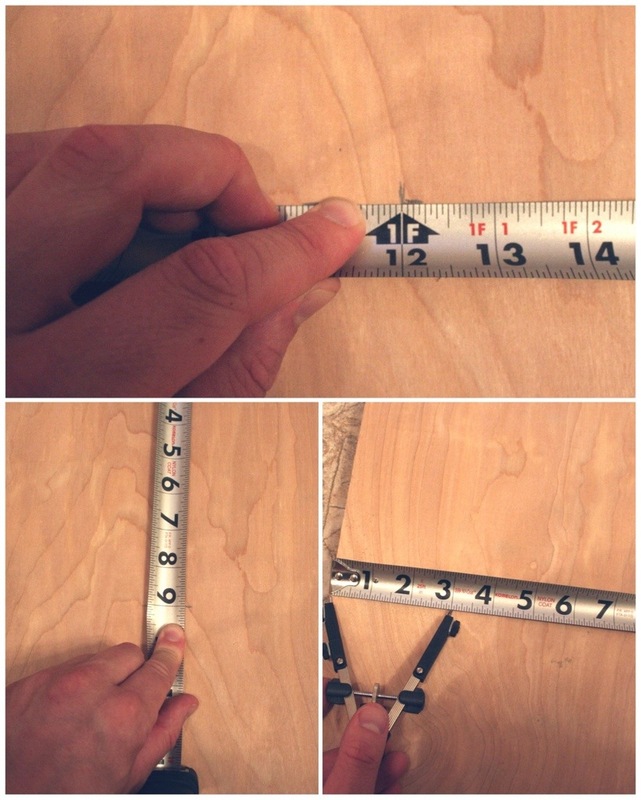 Measure horizontally 12″ and vertically 9″ to make an “L” mark. Measure the width of the compass to be 3″ and place the point at the bottom of your “L” and draw your circle. Now onto the legs, which take a little special formation. Select one of 11-1/2″ 2x4s to start. Measure your compass to 1-3/4″ and put the pencil at the end of the board, and set down the point. Now draw an arc, which essentially ends 1-3/4″ down the board. Then cut along the arc. 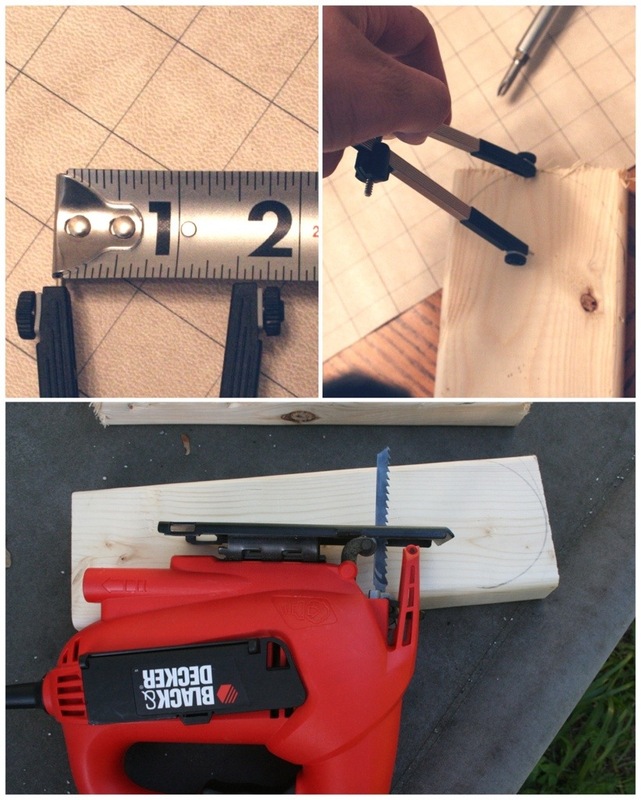 My hubby used a jig saw, but I’m sure you can use other tools as well. Repeat with the other 11-1/2″ 2×4. Make sure you sand down everything. The wood probably has sharp edges. Now you can cut the circle in the middle of the board. 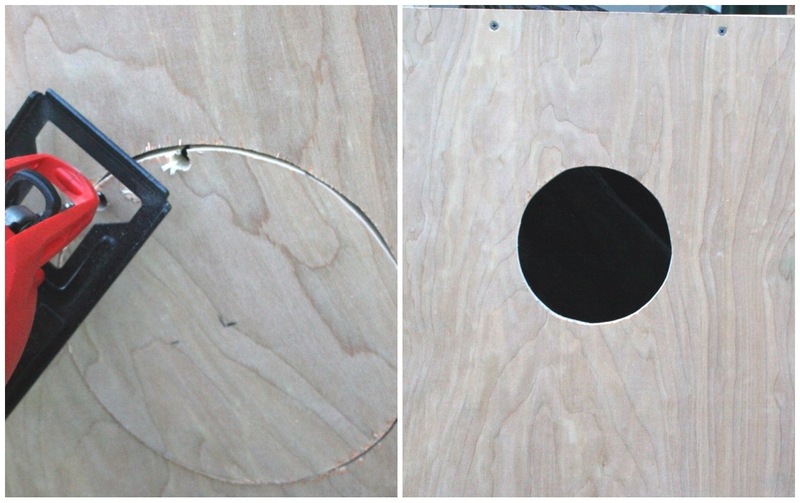 Using your drill, make a hole, or a few holes, on the inside of your circle outline so you can easily handle the jig saw. 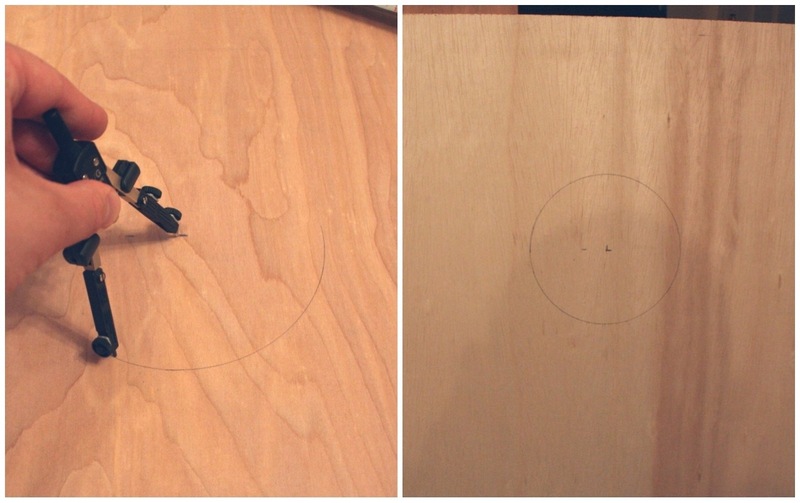 Once you’ve made your holes, take the jig saw and cut out the circle. Our last stage is to attach the legs. 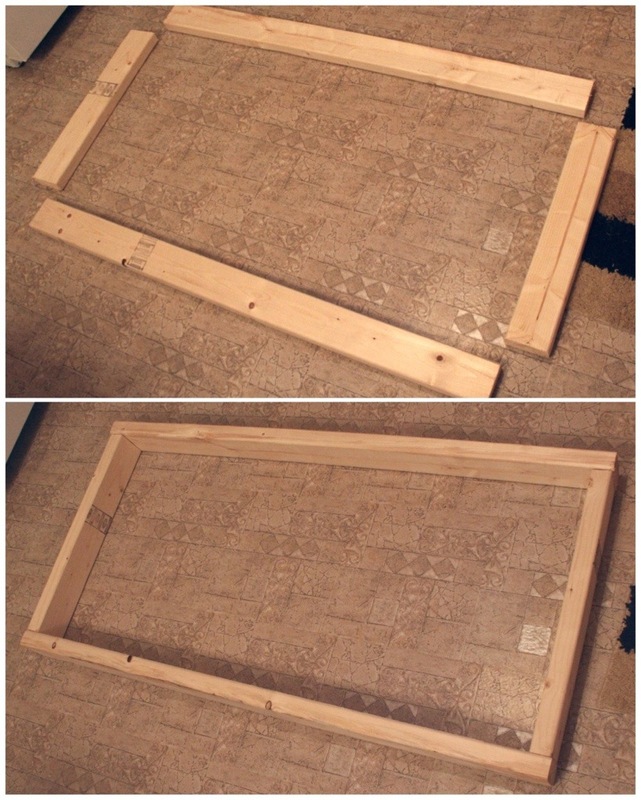 Measure on the outside of the frame down the side 3-1/2″ and 3-3/4″ making 2 tic marks. 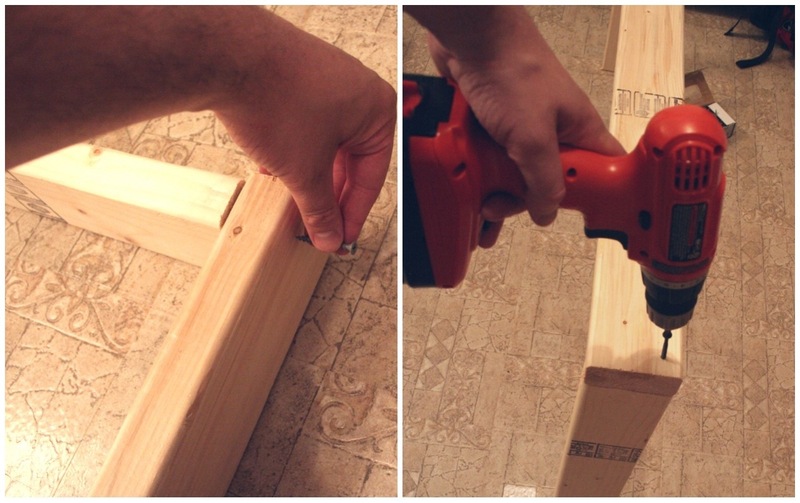 Drill a 1/2″ hole between the marks. Place the rounded part of the leg at the top on the inside of the frame, making sure to leave a little room between the top and the leg, allowing it to be folded in or out. Now drill a hole in the side of the leg to match up with the first hole. Place the carriage bolt through both holes and attach the wing nut to the end. Repeat for the other leg. End of part one! Come back for parts two and three the rest of this week! awesome job! looking forward to part 2 and 3. I think I am inspired to make my own now! Awesome! It probably looks more complicated than it is, I had a lot of fun making it! I was just thinking that this would be a fun game to own, and I wouldn’t have thought of DIY-ing it! Great idea!